"Best Lawyer in Los Angeles. Period. Hired and performed in the most efficient and professional manner. WE WON. "In 2014 I had a mental health crisis and was charged with a felony. I was facing two years in a California state prison. Miller was able to secure me a spot in the Antelope Valley Veterans Court program where I was directed to obtain intensive mental health services. Miller was personable and went above and beyond to ease my stress during the entire process. Because of his hard work my charges were dropped and now just two years later I am graduating college instead of being released from prison." 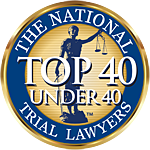 "When it comes to finding a reliable attorney who knows the law and cares about helping his clients, Chris Miller comes at the top of the list. Chris has a personable attitude that makes him easy to communicate with, which is sometimes hard to find in a criminal defense lawyer who has the experience necessary to zealously advocate for your rights. One of the key characteristics of a successful attorney-client experience that Chris brings to The Miller Law Firm is genuineness. He genuinely cares about not just his clients, but he even goes as far as to ensure that his client's loved ones are constantly kept informed of important updates. When it comes to anything criminal law related, I never have to think twice about approaching Chris about an complicated matter, because I feel confident in knowing that Chris will get to the bottom of the issue, no matter what it takes. If you need help from someone that you can trust and that you can count on, Chris is your man!" "I hired Chris because I had gotten my self in a real bad way with a DUI, False police report, and a hit and run charge. Chris was very honest with his assessment of my case from the get go. He didn't spare me any harsh truths but he also took on the challenge of proving them wrong anyways. During the entire process Chris was kind, patient, kept an open line of communication, and hustled on the daily level to make sure I got the best defense I could get. And he succeeded. False report and hit and run charges were both dropped and he managed to keep the judge from throwing the full weight of his gavel at me for the DUI. And after everything was said and done he sat down with me and put any anxieties I had about the prospects of the verdict at ease. I've gotten my self into trouble before and have had a few lawyers over the years, but Chris was by far the best. If you're looking for an honest, hard working, self motivated guy then I would definitely recommend hiring Christopher Miller"
"During a very difficult time in my life (due to a DUI and the threat of losing my license for a year), Chris Miller was a godsend. He was always available and very proactive throughout the process and was able to keep me at ease with relevant updates regarding my case. His extensive knowledge of current laws and interactions with the prosecuting attorney and DMV made a huge difference in my case! I highly recommend Chris and have actually referred a few of my friends for legal counsel, knowing Chris would not let me down. I can't say it enough - this dude is amazing!" "Could not be more satisfied with Chris Miller! My father is an attorney and advised that I call Chris to help me with my case. He is a young attorney with a lot of energy, who cares a lot about his clients, and he will not let you down. He helped me get through the toughest time in my life, and you can't put a price tag on something like that... He is performing God's work here on Earth. I have recommended several of my friends to Chris Miller to help with their cases. Let's face it Los Angeles is a crazy place, and you need a great attorney to help maintain the peace. Who you gonna call? Chris Miller!" "I hired Chris back in November to help me get through a DUI Case, I was nervous to be going through this process from the start, when I first met with Chris I knew he was the right guy to help me get through this case. Aside from the great legal advice, he also gave me personal advice to help let me know that I was going to get through this and life will resume as normal. He gave me solid facts and many ways we will be able to work through this case, his connections are outstanding and to have an attorney with great knowledge and great connections is what you need. He continued to fight for the lowest sentence possible working with a DA who did not want to budge and in the end he got my sentenced reduced in a huge way, forever grateful for what this man did for me. My entire process going through this case could've been the most stressful time in my life, but the way Chris was taking care of my case put me at ease which really allowed me to focus on moving forward. He is an amazing attorney and I will recommend him to anyone for any sort of case, thanks for everything Chris. You have been great this whole time and as much as I would like to hire you again, I'm afraid I won't be getting into any legal troubles again haha. Wish you the best, thank you for all your help!" "Great attorney always available and accessible for any questions and concerns regarding your case. Chris helped me through a very tough time in my life and made me feel at ease about the court system and possible outcomes of my case. He took care of my case from beginning to end saw it through all the way and i was always in the know of where my case stood. Chris is now my go to guy for any legal trouble or aid. I'm not sure how I came to find him but I'm glad I did!" "Chris Miller got out of very sticky situation that I did not deserve to be in, and he made that clear with the county. He knew exactly the type of situation and what solutions were necessary in order to clear my charges. I faced up to a year in county jail and he was able to have all charges dismissed. Quick thinking, thoughtful and understanding. He made it easy without killing me financially. Thanks man, I really owe you one." "Miller Law Firm was great! I was referred to Chris by a family member and I have no regrets. Chris was patient and kind, but also fought for me when necessary. At no time did I feel like he wasn't working hard for me. This was my first time in a auto accident, but I have heard horror stories (most involving the attorney or the lack there of). Thank you Chris and Miller Law." "I am so happy I found Chris he has helped me and my boyfriend. I found myself in quite a predicament with my case and also worries about my DACA. Chris genuinely explained what needed to happen and how we were going to achieve it. He explained to me what types of documents he needed of me to present to the court. I was more worried about my DACA and what would happened. Chris told me not to worry he was going to do everything he could to keep my record clean and he did! He managed to get me a dismissal!! I was relived that everything was going to be okay. Chris is the best he listens to his clients and does what he can to achieve the best results. Chris thank you so much! I am happy you have helped me, my boyfriend and a couple of other friends. IF YOU GUYS NEED A GREAT LAWYER BETTER CALL CHRIS!!" "Chris helped me with my legal problems and was able to negotiate my charges down. His price was very good as well." "After hearing nothing but great things about Christopher from a friend who was previously a client, I had no doubts that he would be of great help. During such a hard time Christopher made the whole process flow so smoothly and effortlessly. I am not an easy person to please, let alone work with but he is hands down one of the best lawyers I have been so lucky to work with. He not only helped me cope, but was willing to speak with my family during this time of need. With every phone call, text and email, he was always there to make sure I was in the loop. He is a brilliant guy, it's easy to tell. You can tell he really loves his job and truly wants to help. I couldn't imagine hiring a different lawyer for anything else." "He is one of the best attorneys that I had the pleasure of working with, he made everything easy on me in such a tough time! He somehow kept me at ease and assured me everything was going to be just fine and the verdict come out more then fine, his connections are stellar! He is so sweet and actually gets down to business!!! I would/will recommend him to anyone of my friends in such times of need! So shoutout to Chris Miller!!!!!!!!!" "Mr. Miller seems to be like an angel in our lives he is really passionate not just doing his job to make money but because he wants to help his clients like if they were his own family and I loved that about him. I couldn't of find someone better to take my son's case he has a brilliant heart and I thank God for putting him in our path... Thank you Mr Miller." "Chris has been so helpful throughout my case and experience. He has helped me to understand everything in terms of my options and and any legal terms to make it easier. He was understanding and available when needed and I consider myself lucky to have found him. I appreciate everything he did and will recommend him to anyone who needs legal help." "The best lawyer I have!! I was looking to someone who can help me for my DUI case last Dec 2015 and I found him. I was super scared and dont know what to do but he was the one who made me feel that I have nothing to worry about my dream of becoming a Nurse. I cant say enough about how I was treated, We wanted personal one and thats how I got from him. When i have questions, he always give me the answers that would clear my doubts. He explains everything clearly with all the processing and paperworks. He's very professional. Even when my DUI case is over and if i have questions about my other traffic violations, he never failed to reply or call me to explain everything even if Im not his client anymore. He became not just my lawyer but I found a friend in him. And when I got into Car Accident last October of 2016. I have him as my Personal Injury Lawyer, I couldnt be happier with the way things have turned out. Im glad i met you, Chris!! Thank you so much." "I highly recommend Mr. Miller , he was handling my husband case , the case was dismissed and know we can move on and never look back ...."
"Chris has been extremely helpful since even before I hired him for my case, He has been informative and very determined to get any and every bit of information to help better my case. He has been great since the start and I would love to say I will be going back to him if I ever run into anymore trouble, but sorry Chris I will not be getting into anymore legal issues for the rest of my days, on point from here on out hah. On a serious note, he is a great Attorney and I will vouch for his services any day of the week. Thank you Chris." "Chris was extremely professional and helpful with my case. I was very impressed with his knowledge and was grateful for his immediate response to my phone calls. He was there every step of the way, answering all my questions and concerns. If you have been arrested for DUI or other criminal charges call Chris ASAP. Chris knows his way in the court system. I highly recommend him!" "Chris was very understanding, compassionate & trustworthy. He cares about his clients, answers all your questions & makes certain that he gets you what you need. Highly recommended! :)"
"Mr. Miller was hired to defend my son on a criminal case which could have had long lasting, adverse life changing consequences. His attention to details, dedication to his clients, knowledge of the law, provided us with the peace of mind of knowing we had proper representation with our case. I will not hesitate to hire Mr. miller again for any other issues to arise in the future. I highly recommend The Miller Law Firm. Their honest approach and professionalism are second to none." "Informative, enthusiastic, knowledgeable... Had a game plan and was extremely kind." "About six months ago I got charged with a DUI, a hit and run, and filing a false police report. I was pretty sure it was over for me, my goose had been cooked. In spite of having some not so great experiences with lawyers in the past, I decided to contact Chris for a consultation. Mostly just because of his profile picture. From the start Chris was very honest about the expectations of the case and didn't shy away from sparing me any harsh truths. None the less, he took on the challenge of proving those truths wrong. Throughout the ordeal, Chris was compassionate, patient, thorough, very clear with communication, but above all else he was driven. Driven to get the best defense possible for me. After all was done, I got off with a slap on the wrist compared to what I was charged for. And even though I was more than satisfied with the outcome, I could tell that Chris didn't even like that I got the wrist slap. If you're looking for more than just a buffer between you and the judge then Chris Miller is the guy to hire." "Chris was clear, informative and dependable. Easy to work with. I would highly recommend him." "There are very few people in the world who garner a five star review. Christopher Miller is one of them. From the moment we first spoke, I had no doubt he was the kind of professional I needed to take my case. A month (or so) ago, I received a DUI and had been looking for a lawyer to hire. After chatting with other professionals, I began to feel more like a “job” and less like a person. Speaking with Chris was the first time I felt human again. He was genuinely interested in who I was and the events that led up to the DUI. He explained his role as my (potential) lawyer and the ends and outs of navigating a DUI charge in court. He assured me I could trust him to work hard AND get me the best deal possible, if I chose to bring him on board. I did and looking back I’m not sure how I would have made it through this process without him. I like communication. That’s what I wrote to him after we agreed to work together. I stress when there is something I don’t know. Chris understood this and went above and beyond to explain every detail throughout the entire process. I never felt in the dark and had no moments of panic or tension. During each step Chris shared his plans, how he intended to go forward and what I could expect. All I can say is WOW! During sentencing Chris was true to his word. He worked hard and despite the severity of my case, Chris proved to be an excellent negotiator, which ensured his (our) success. I don’t have enough words of thanks and praise for The Miller Law Firm. I would recommend him to anyone in need of his services." "Excellent attorney , nice guy and reasonably priced. Explained everything thoroughly and answered every question I asked promptly. Was easy to get a hold of as well, I will not hesitate to use his services again in the future if needed.Thanks Christopher." "In April this year i had the unfortunate event of getting arrested with a DUI. Choosing Christopher Miller was a blessing. He guided me through everything i needed, was highly available, responsive, helpful, professional, and made me feel comfortable about my situation. I would recommend anybody to use Christopher Miller as their attorney. I can genuinely say, I appreciate him and the help he provided.Thanks Chris!" "I am very pleased that I found Christopher Miller to represent my husband. Mr. Miller is a young, energetic, caring person that made this unfortunate incident tolerable. He listened to me, explained everything in simple terms, planned and executed the strategy without a hitch. He communicated both by phone and email which I appreciated. I really think Christopher Miller is a great attorney and recommend him highly." "I found Chris to be an honest and caring lawyer. He knew what he was doing and was clear in explaining what my options were, as well as the best course of action. Great to have him on my side!"